New York City plans to honor fallen officers, Detectives Wenjian Liu and Rafael Ramos, by naming a NYC street after each. According to CNN, the change will require a bill that will be introduced and voted on this January. “Our fallen heroes will never be forgotten. 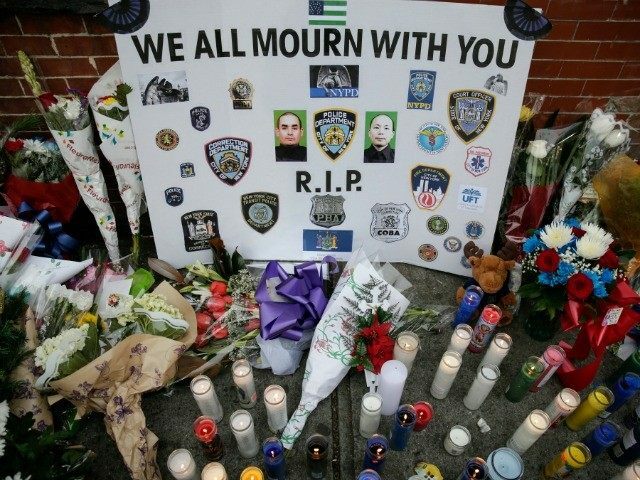 Their memory lives on in their families, and in the NYPD family. And now it will live on in the streets of the communities these brave men lived in and protected,” said embattled NYC Mayor Bill de Blasio. The two New York police officers shot to death earlier this month in Brooklyn are set to be immortalized in the streets of the city that they swore to protect. New York City Mayor Bill de Blasio and City Council Speaker Melissa Mark-Viverito announced Wednesday that the city will move to name two streets in honor of the fallen officers, Detectives Wenjian Liu and Rafael Ramos.